Is there an ideal time to be facing a plumbing problem? But it’s so much worse when you’re trying to troubleshoot while actually experiencing the problem. There are some common plumbing problems that you can address on your own. You just need to be armed with a few tools and some knowledge. Have no fear. We’re here to provide that knowledge. Sometimes the problem you’re experiencing is an easy fix that you can handle. But other problems will require you to start a search for the best plumbing company in your neighborhood. It’s important to know the difference between a DIY and one that requires a professional. So we’ll take a look at ten problems and what you should do. There are four kinds of faucets: compression, ceramic disk, ball type and cartridge (sleeve). No matter the type, when it leaks it’s annoying. And it could be costing you money in wasted water. In most cases, a worn o-ring or neoprene seal is the culprit. The handle must be taken apart with a wrench and the washer or seal replaced. If you have a more complicated faucet and don’t feel confident taking it apart, you can always call a plumber. The temporary fix here is a jiggle of the handle. But it’s not going to solve the problem long-term. Typically, a toilet that won’t stop running is the result of the flap in the bottom of the tank not sealing shut. Take the top off the tank and flush the toilet while watching the rubber flap. If it doesn’t completely close, that means water is still coming into the tank and flowing out through an unsealed flap. The unsealed flap causes the water to keep running because since the water never reaches the fill line, the float ball trigger is never activated to stop the flow. Since the handle is connected to the rubber flap with a chain, jiggling it repositions the flap so that it has a more secure seal. But ultimately, you need to replace the chain and flap. A clogged toilet is an easier fix than a running one. In fact, it’s one of the simplest DIY plumbing issues to solve. Your first line of defense is a plunger. But you can also pour in a solution of baking soda and vinegar or dish soap and hot water to help break down the clog and move things along. For a particularly pesky clog, you may need a plumbing snake. That’ll physically push that clog out of the pipe. Clogged kitchen drains are among the most common problems. This is due mostly because people feel free to throw just about anything down the kitchen drain. And if you do have a garbage disposal, keep the water running while you use it. And give the disposal time to catch up after waste is put down the drain. All of these preventative measures will lessen the frequency of clogs. But if you do get one, pour baking soda and vinegar down the drain and let it sit for at least thirty minutes before flushing with hot water. Hair and soap scum are the main causes of backed up bath and shower drains. Keeping a hair catcher drain guard will keep a lot of it out of the pipes. When you do get a clog, try the baking soda and vinegar solution again. Another option is a plunger. Apply petroleum jelly to the edge of the suction cup to improve the seal and be sure there’s enough water in the tub so that the end of the plunger is submerged. And then plunge with vigor until the clog clears. If that doesn’t do the trick, you may need a plumbing snake. Once you have a frozen pipe, your best bet is to turn off the valve, wrap it in a towel, and clip lights with incandescent bulbs near the pipe to create heat and thaw the ice. And then hope it doesn’t crack. The key with frozen pipes is PREVENTION. If you live in a climate with cold winters, shut off the valves connected to outdoor pipes, disconnect garden hoses and cover outdoor faucets. Also, it’s vital to keep an eye on the weather forecast during the winters. While you’re getting ready to set up your generators in case of a power outage, remember to allow water to drip from faucets too. Even just a slow trickle will help prevent freezing pipes. Also, keep your thermostat set at a minimum of 68 degrees and keep it consistent during the day and night. If you have more than one drain or toilet working and you’re picking up a bad odor, then you’re most likely looking at a sewer system backup. And these are a nightmare. There is typically one of three reasons for this backup. The first happens when the main sewer is clogged. Keeping things like diapers, napkins and feminine products out of your toilet is going to prevent this from happening. A second possibility is that tree roots have invaded your pipes. Roots from trees are strong enough to push through cracks in pipes or even crush it. Old sewer lines are the third culprit. Modern sewer lines are made from plastic. 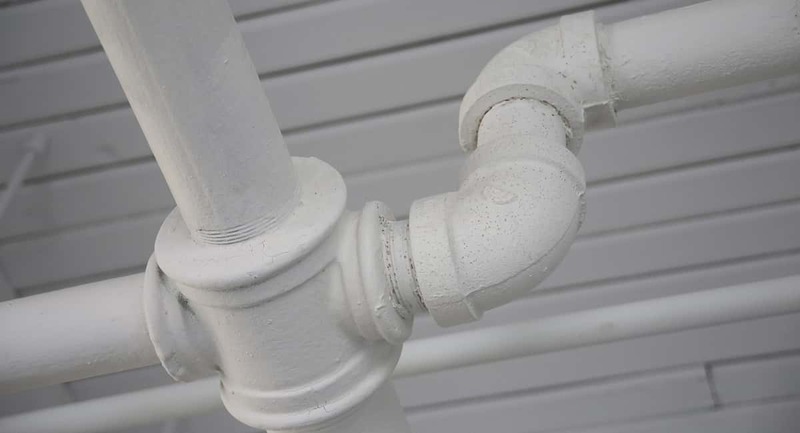 But if you live in an older home, your sewer line is probably made of cast iron or clay. And these are prone to decay. This is a job for the experts. Unfortunately, this can be an expensive repair. It depends on whether the issue is on your property or on the public road. If it’s on your property, it’s your responsibility. Before you call a plumber who will charge you for his or her time, it’s a good idea to call your local water company. If the issue is their fault, they won’t charge you. When your garbage disposal is jammed, nothing is going down that drain. We mentioned earlier the importance of not running it without running water and being careful about disposing of certain food substances. Silverware can do a job on the garbage disposal too. So be sure to always check for spoons, forks or knives that might have slipped down there before you run it. Of course, prevention isn’t worth an ounce if your disposal is already jammed. The first thing to do when your garbage disposal is jammed is to hit the reset button. That might be all you need to do. If that doesn’t work though, you’ll have to open it up. There is a key that comes with your disposal. But if you have no idea where that is, you can use a 1/4 inch Allen wrench to free up the motor and (hopefully) get it running again. If you stepped into the shower recently only to find that there wasn’t enough hot water, you’re probably dealing with a water heater issue. The first thing to check is that the pilot light hasn’t gone out. If so, simply relight it. This is an easy enough fix. Another issue may be that the thermostat isn’t set at an appropriate number. Or that it’s faulty. If it’s neither of those, a more common issue is a build-up of sediment in the tank. Water heaters aren’t meant to last forever. If yours is older than 15 years, then you’re lucky that it’s still working at all. At some point, the sediment build-up will affect your ability to get hot water. And then eventually, the water may start leaking from the bottom. This excess moisture can lead to nasty mold too. If this is happening, it’s a clear sign that you need to replace it. Otherwise, you could be looking at a basement (or other room) full of water. Once again, prevention is key. These will need to be done by a professional plumber. But this annual inspection could save you from a big headache later. Do you know where the water valves are in your home? You should. Because if you have a leaky pipe, you’ll need to shut off the valve that brings water to that pipe. If that’s not available, then you’ll have to shut off the main valve that brings water into your home. Then you’ll need to call a plumber right away. A leaking pipe is no joke and it’s not something you should attempt to tackle yourself. Otherwise, you may just end up making the problem even worse. What it ultimately comes down to is knowing when you can handle common plumbing problems, and when you need the help of a professional. Remember that taking preventative measures can prolong or even eliminate the chance that you’ll deal with certain plumbing nightmares too. So stay vigilant. And for more great tips on understanding how things work, keep checking back with our technology blog.